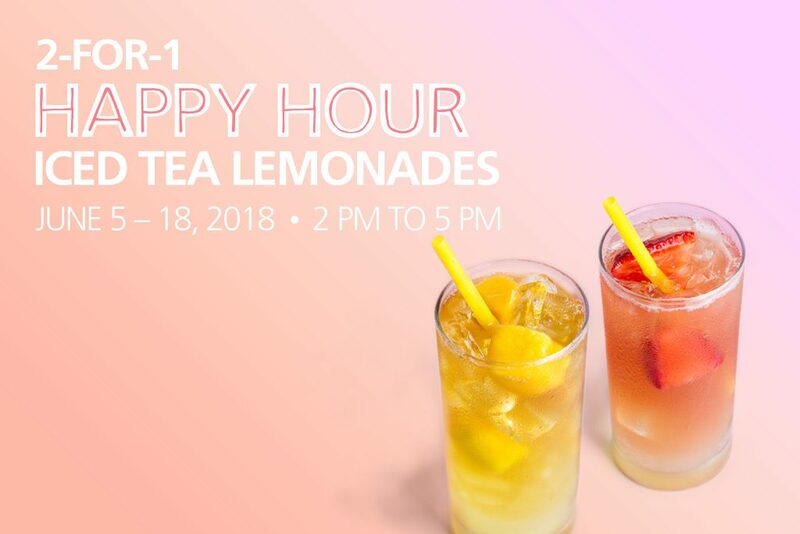 Enjoy 2-for-1 Iced Tea Lemonades from 2-5 PM starting today! Hey you all summer enthusiasts, come on down to Blenz and enjoy a 2-for-1 Iced Tea Lemonades from 2 PM to 5 PM! Bring you bestie, co-worker, significant other, and family member and indulge in our line-up of delicious flavours – Mango Ginger, Strawberry Cucumber and Melon Berry. Hurry, because this is only happening until June 18th! Available at any Blenz Coffee Locations from June 5 to June 18, 2-5 PM. This promotion is only valid for Iced Tea Lemonades and cannot be combined with any other promotions. Your iced teas are good.